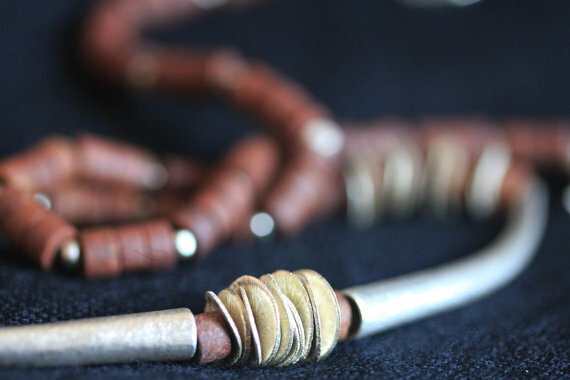 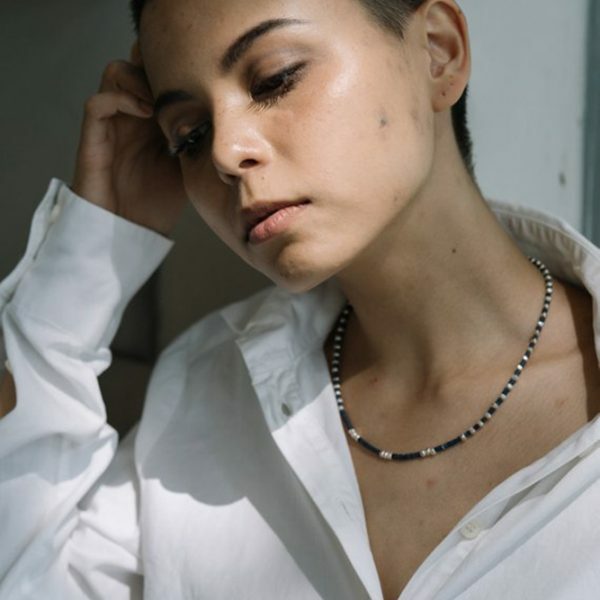 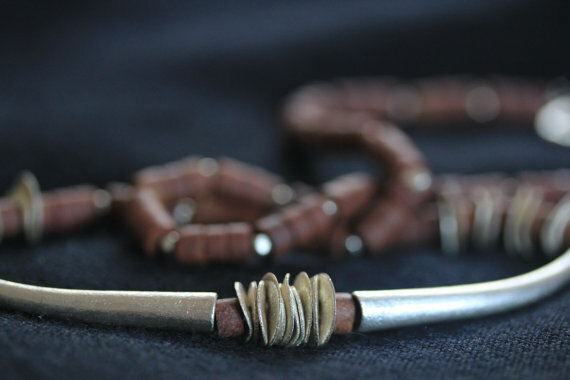 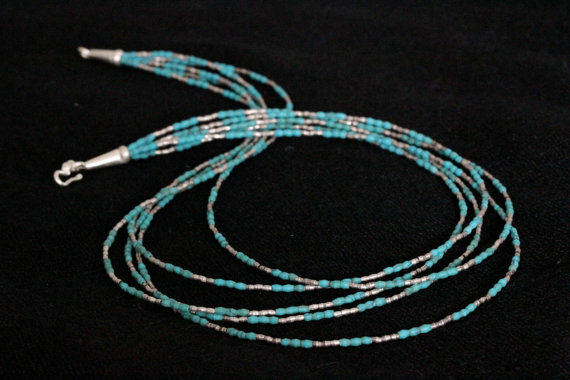 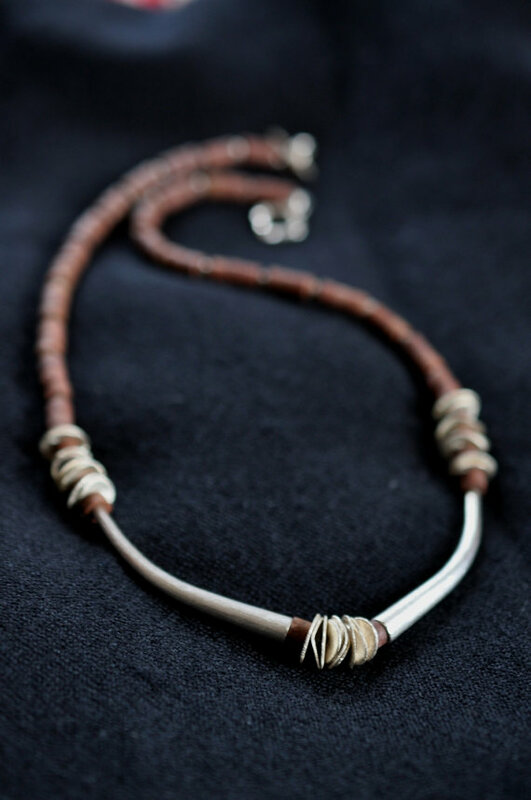 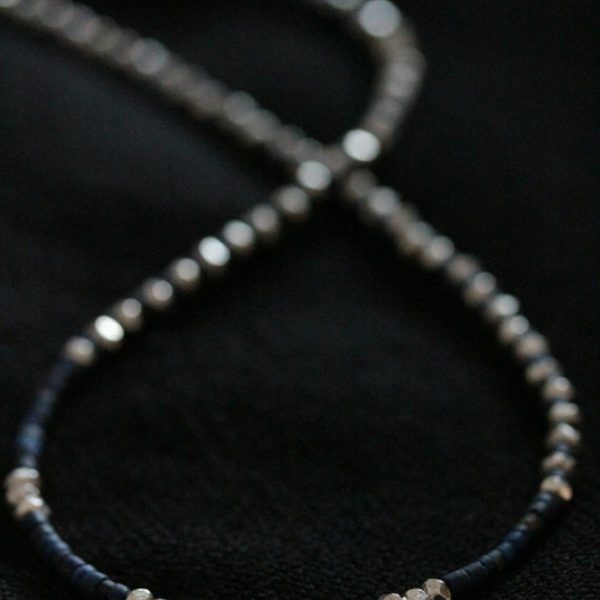 This ethnic inspired beautiful handmade necklace is composed of raw earth brown jade tube-beads, disposed in groups of 3 and then separated by a silver disk. 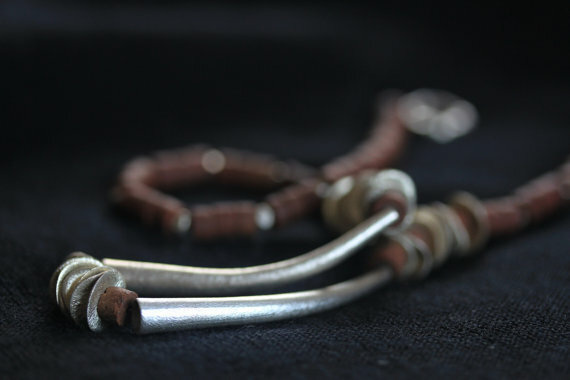 In the middle, two handmade elephant-tusk shape pieces embrace a series of finely scratched, irregular and unevenly bent silver chips. 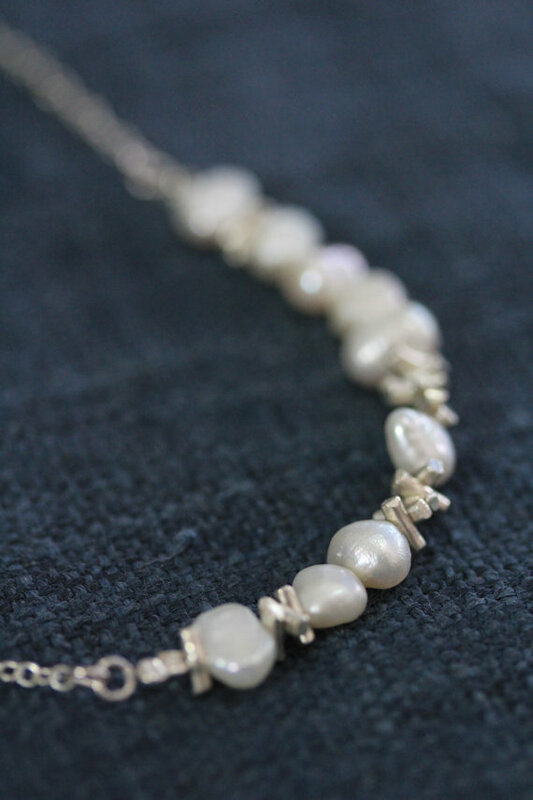 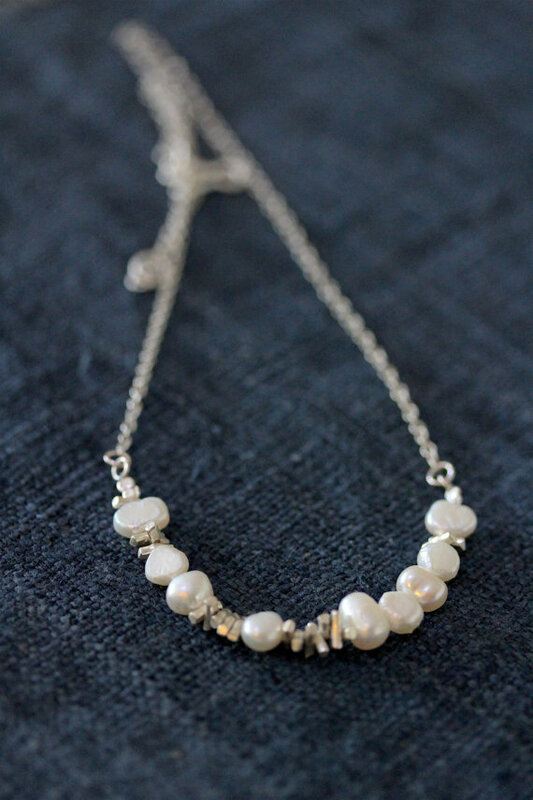 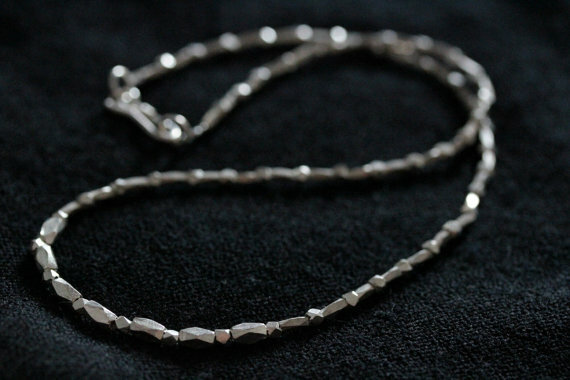 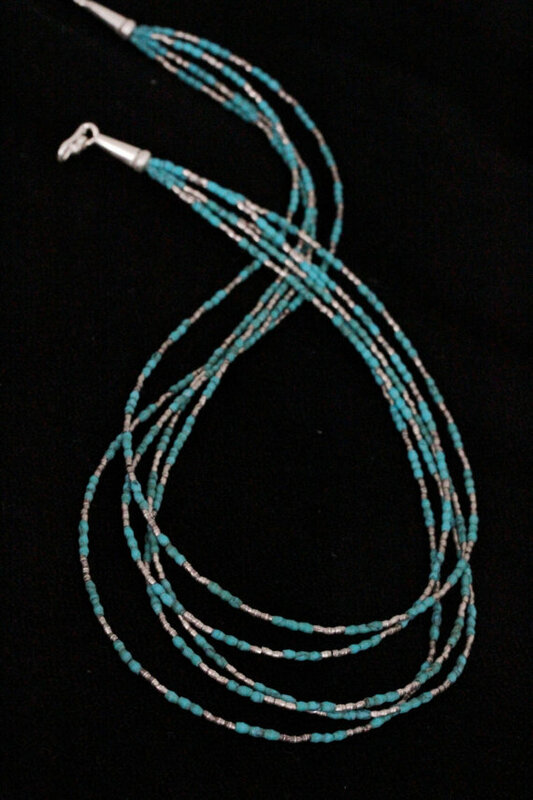 The necklace closes with a silver toggle hook. 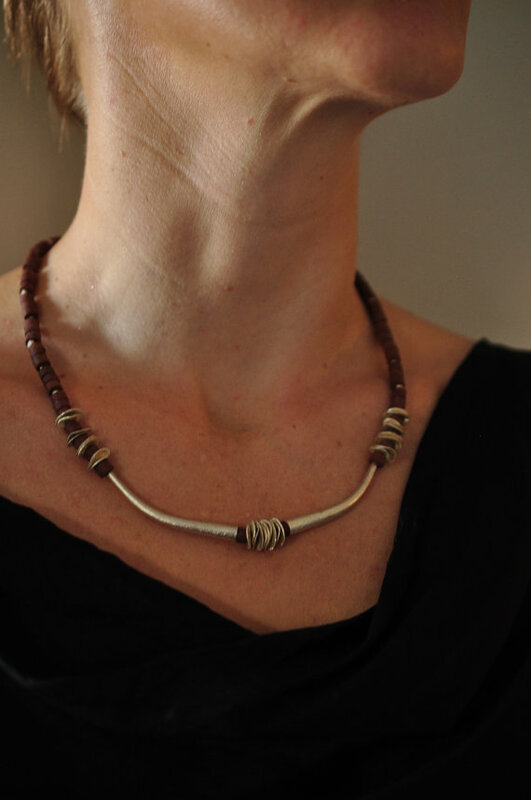 It is a very peculiar, unique piece, elegant, with a strong ethnic touch.